If board game night feels like a tired exercise in “family fun” that starts out well but always ends in at least one tantrum, take heart. Board games aren’t just a good way for families to carve out some quality time together in an otherwise hectic week—they’re scientifically proven to help kids build skills in everything from financial planning to empathy. At my kids’ elementary school, one way children learn the parts of speech is by playing Mad Libs. After all, until you understand the difference between an adjective and an adverb, the game really doesn’t make much sense. Board games can be used in a similar way to teach kids academic concepts through play. Playing board games with preschoolers has been linked to a variety of positive improvements in their math performance. A whole industry exists out of “learning” games, many of which aren’t exactly exciting for kids or their parents. But you don’t have to suffer through another night of that learning game no one wants to play, weary Solo Moms; traditional board games build exactly the same academic skills. Plus, you can find many of them at your local secondhand store for a few bucks. Chutes and Ladders was developed long before the learning game explosion, but it’s still one of the most science-backed games for building number sense in children. Number sense is an important building block that helps children make sense of what numbers mean and how they relate to each other. Unlike color-based games like Candy Land, Chutes and Ladders introduces kids to the concept of a number timeline, which later helps them understand how numbers compare to each other. This small difference in the two games has been linked to a big change in how kids understand foundational math concepts. For older kids, chess and Clue are both linked to at least some improvements in kids’ critical thinking and basic math skills. Plus, they’re both really fun. Asking kids about their game play choices and presenting decision making as a skill to be practiced, rather than an innate ability, may also help kids improve their skills even more. Monopoly, another old favorite game is often used to teach kids the basics of money management and financial planning. The electronic bank version of LIFE even gives kids debit cards they use to access their funds. Plus, both games introduce kids to the idea of things like real estate, debt, and planning for their futures. Academics aren’t the only things kids need to learn. Studies show children need to learn social skills like cooperation, empathy, and communication before they can move on to more academic pursuits. There’s a reason why social skills groups that help kids with learning disabilities often play board games as part of their therapeutic efforts—board games are a treasure trove of social skills–building fun. They teach kids how to wait their turn, negotiate with their teammates, and even how to win and lose graciously. Even young children can develop a sense of mastery and belonging to a team while acting as the banker or managing the cards. This builds confidence that helps kids become more independent and willing to follow their curiosity, skills that are critical for the development of lifelong learners. Collaborative board games like Count Your Chickens or Hoot Owl Hoot! eliminate the competitive aspect of traditional board games and pair all players together in pursuit of a common goal. This encourages teamwork and builds a sense of empathy instead of competition. For older kids, the Settlers of Catan and Pandemic are great options for collaborative board games. Unlike traditional board games that focus on abstract concepts, these two games take a play from story-focused video games and encourage players to negotiate to settle an island or work together to stop the spread of a deadly disease. As cliché as it may sound, board games bring people together. Studies show the type of face-to-face interaction involved in playing board games builds a sense of connection, but the benefits don’t stop there. Playing board games as a family builds a foundation of trust that strengthens the family relationship. When you play and laugh together with your kids, you each release endorphins that promote trust and empathy. 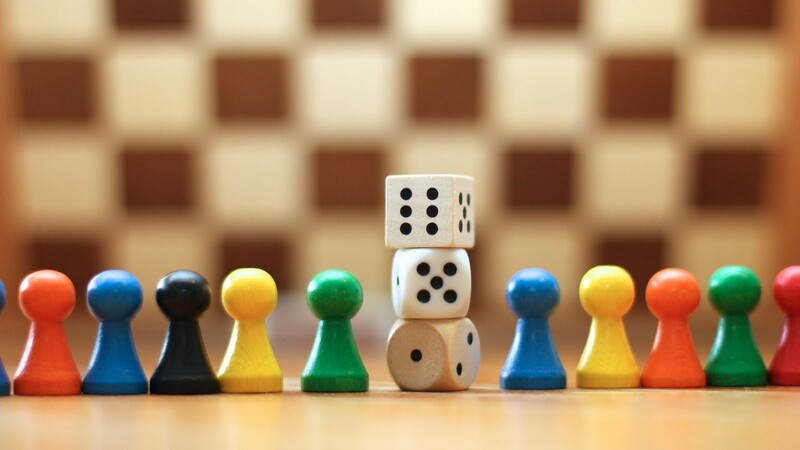 Board games can even lower your blood pressure and reduce your stress levels. Who couldn’t use a little less stress in their lives? Board games also create a relaxed, fun atmosphere that encourages kids and parents to communicate with each other. This atmosphere doesn’t end when the game gets put away, either. The security kids feel lasts far longer than the game itself. Above all, playing board games with our kids helps us busy Solo Moms squeeze in some quality time with them. And if we can sneak in a few academic and health benefits while bonding, why not? After all, Solo Moms are the queens of multitasking. What is your favorite board game to play with your kids? Tell us in the comments! Jody Allard is a writer and mother living in Seattle. Her work has been featured in the Washington Post, Time, and Good Housekeeping, and on Vice, among others. When she isn’t writing, she can be found binge-watching HGTV and embarrassing her teenagers.